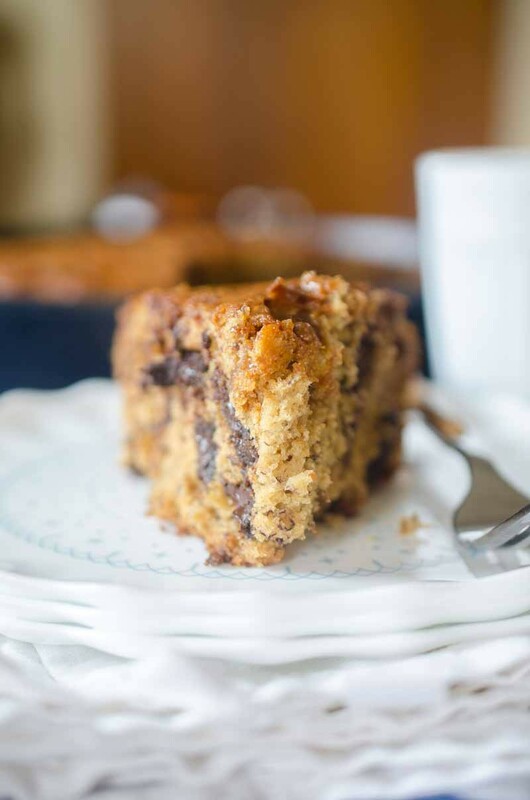 Dulce de Leche Banana Bread with dark chocolate chunks and a swirl of Dulce de Leche. 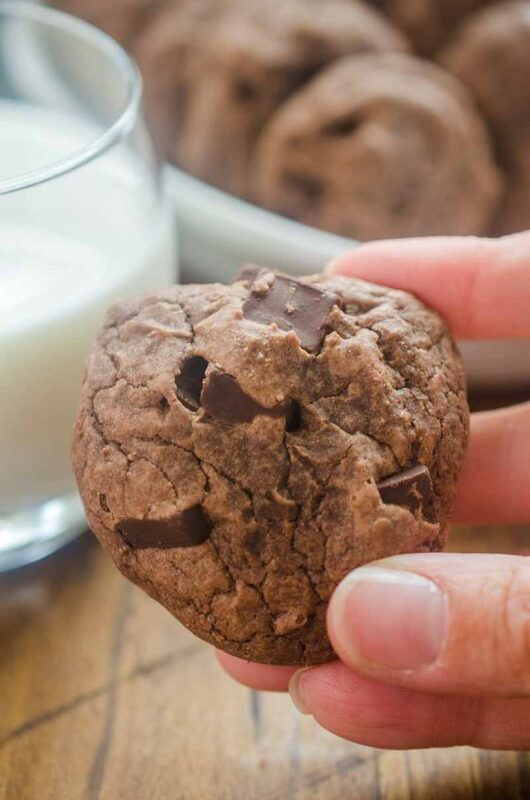 Serve it for breakfast or dessert…or both. Since both boys are in preschool this year, the mornings around here have gotten really hectic. When it comes to breakfast, we usually do cereal, smoothies or granola. Sometimes though, I really get a craving for banana bread and I think it makes a great breakfast on the go. It’s so easy to just grab a slice, pour some coffee and get my day started. My boys love it too. My most recent banana bread creation though, has me thinking “at what point does Banana Bread become a dessert?” Because guys, I think I may have crossed that line with this creation. I introduce to you: Dulce de Leche Banana Bread. 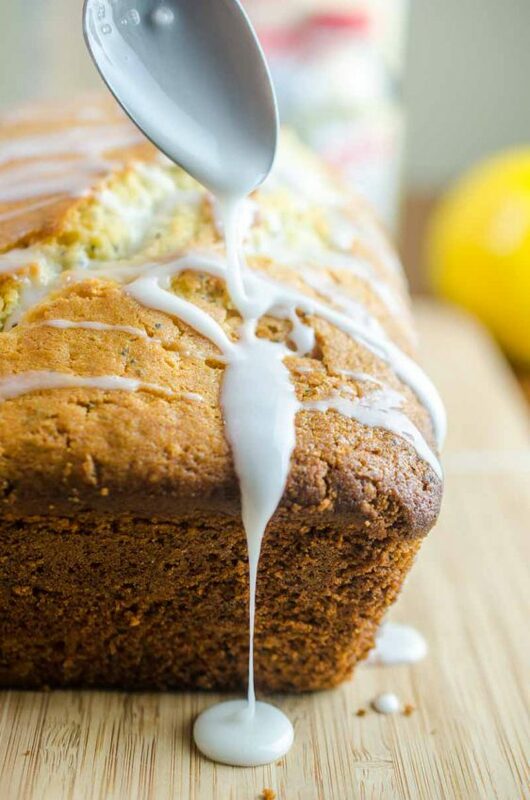 This is the stuff that banana bread dreams are made of. It’s all of the goodness of my favorite breakfast bread but also dark chocolate chunks and a hearty swirl of dulce de leche. It’s banana bread heaven, basically. 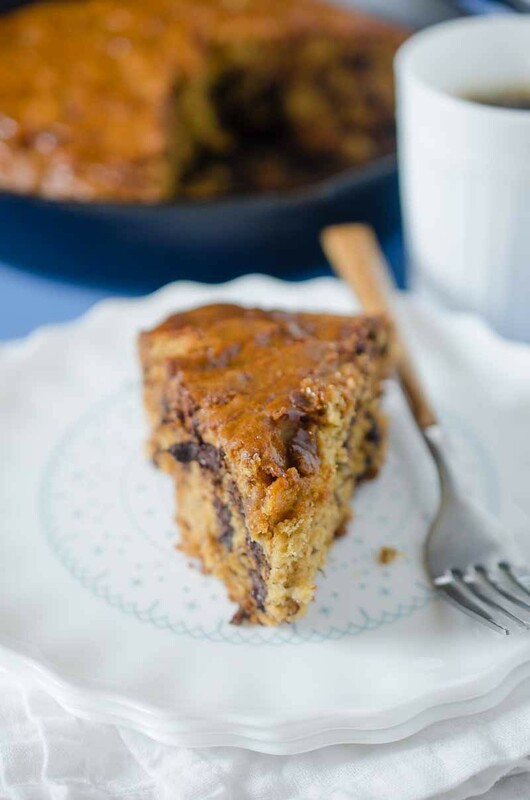 Like the Nutella Banana Bread that I made last summer, this Dulce de Leche Banana Bread is also made in the skillet. What happened because of a mistake last summer has now become my favorite way to make banana bread. 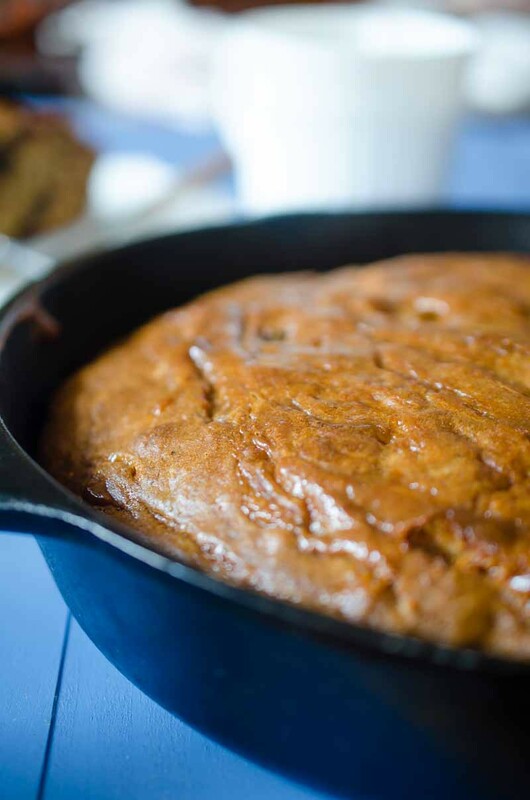 I only ever make banana bread in my cast iron skillet now. I love cooking it in the skillet because it cuts down on the time (think 35 minutes instead of 55) AND I love the added crispiness that the edges get from being cooked in the skillet. 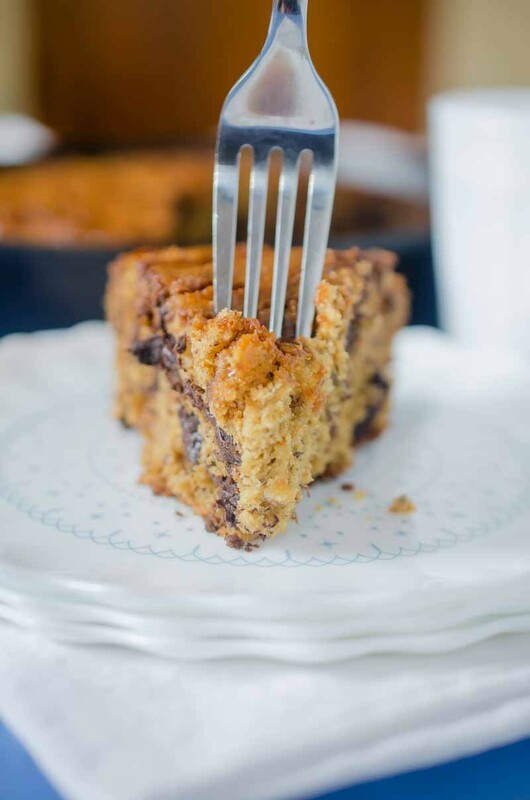 This Dulce de Leche Banana Bread is decadent but I’m not gonna lie. I still served it for breakfast because nothing beats a hot cup of coffee and a slice of banana bread. 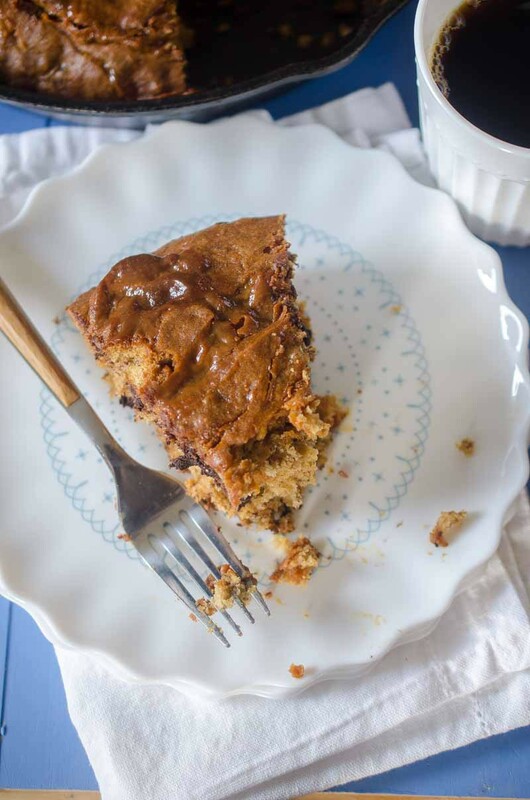 Except, a hot cup of coffee and a slice of this Dulce de Leche Banana Bread. In another bowl, whisk together eggs, sugar, vanilla, butter and bananas. Add in dry ingredients and mix just until combined. Add in dark chocolate chunks. 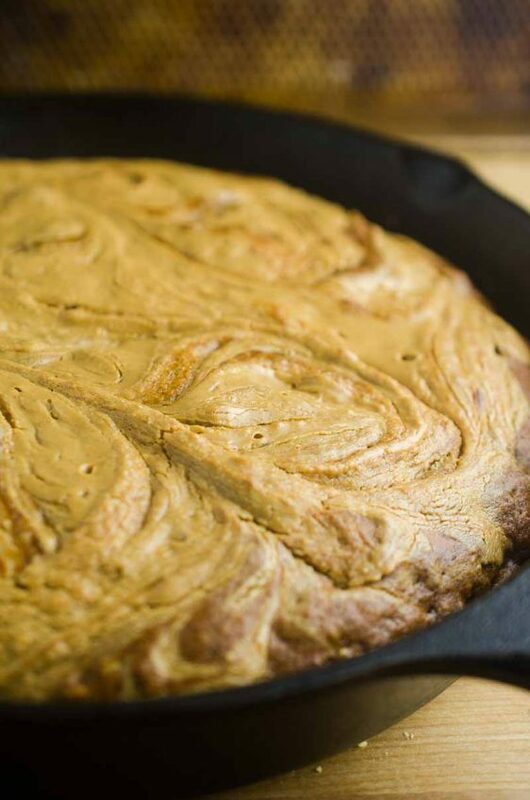 Spoon and spread batter into a 10-inch cast iron skillet. 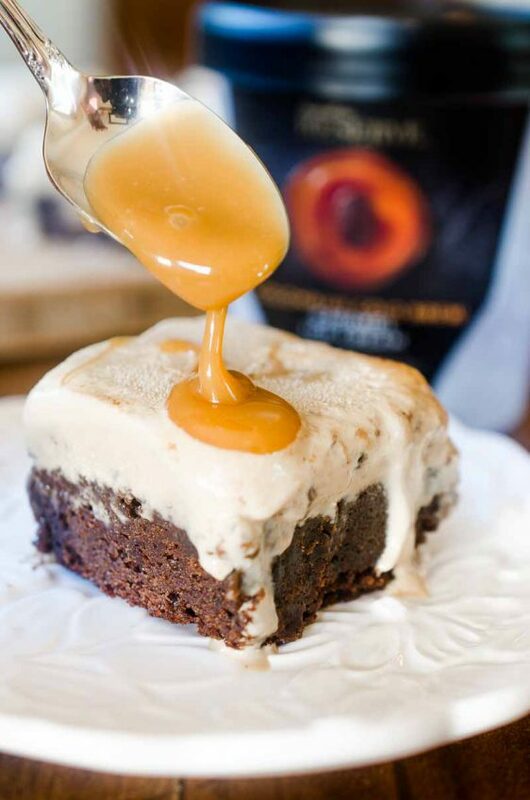 Place dollops of dulce de leche over the top of the batter and use a knife to swirl it around. Bake bread in preheated oven for 30 - 40 minutes or until a toothpick inserted comes out clean. Transfer to a cooling rack to cool completely. Slice and serve. This recipe sounds great. Do you need to oil or butter the skillet so the bread doesn’t stick? Dulce de leche was one of favorite things growing up. I bet this tastes delicious. That cake looks so moist and yummy…I bet it is hard to resist. My goodness. 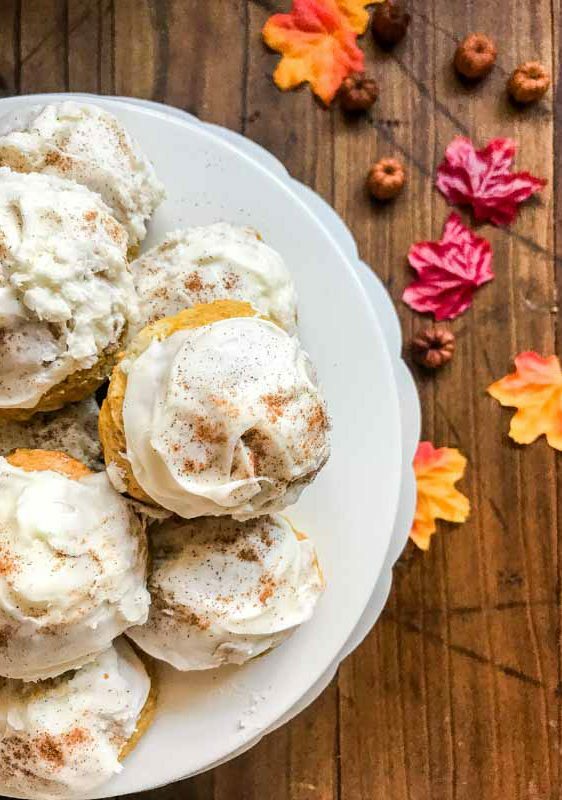 This is like banana bread dessert! 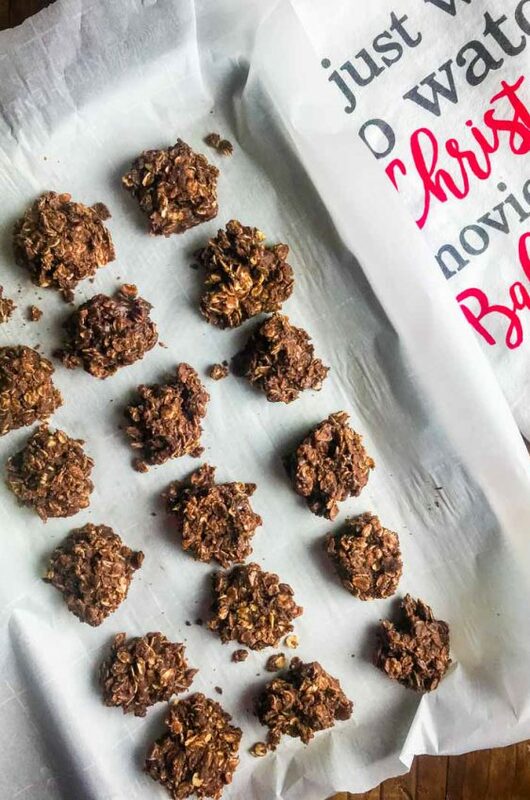 SO good… and I know my banana-loving husband and daughter would adore this recipe! Drinking hot coffee now and wishing I had a slice of this bread. It looks amazing! We all love banana bread around here. This sounds amazing! This looks like a heavenly indulgence!